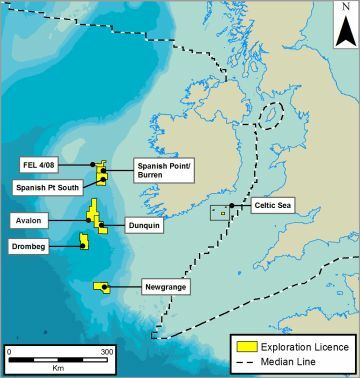 SOSINA is a minority equity holder in several licences West of Ireland, and the Celtic Sea. The Hook Head prospect in the North Celtic Sea Basin was drilled in September 2007. A significant hydrocarbon column (75ft) was encountered in Wealden sands. The Hook Head and the Dunmore prospects were both drilled in August and September 2008. Although hydrocarbons were logged in both wells, the interpreted volumes were significantly less than prognosed.